Shiraho village in Ishigaki island with its charming small streets and traditional Yaeyama/Okinawa houses offers a sense of warmth and coziness with a few restaurants, a Sunday market, teahouse and bakery. A calm environment, not far from the city area. We wrote about Shunka Banchan, this breakfast and lunch restaurant is nearby. 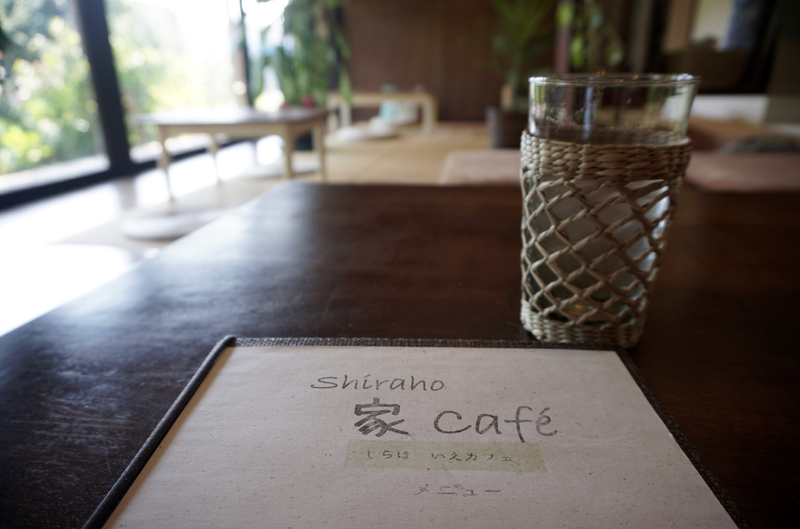 A short while ago Shiraho Café opened. In contrary to the older houses around, this café is inside a new building and might appeal to design and architecture lovers. Inside the house the architect from mainland Japan designed a narrow hall, with sliding doors on both sides. This immediately surrounds you with that typical Japanese atmosphere. With a twist though. The doors are made of twigs which reveal a tiny little peek to the other side of the hallway. Other doors are wood, which look like walls rather than doors that can slide open. 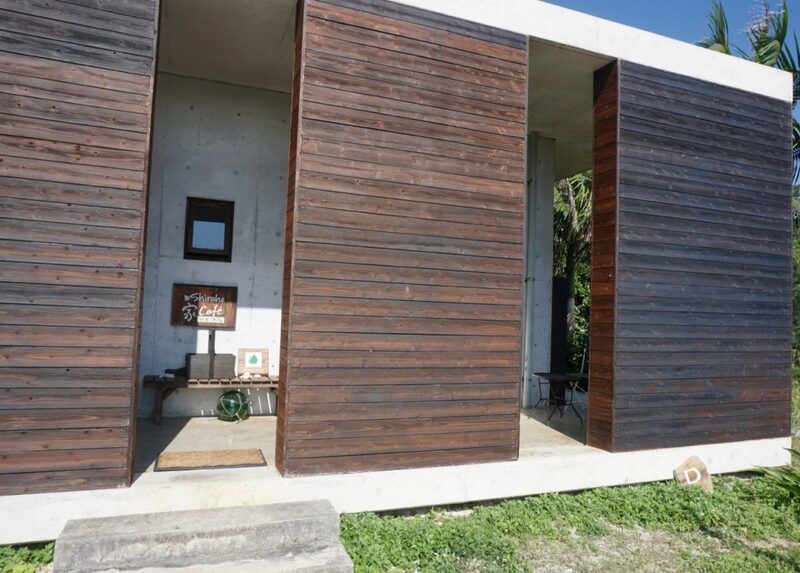 It seems the architect worked according traditional Japanese architecture ideas using sliding doors, surprising glimpses, a certain light and added local Yaeyama materials. Furthermore for the base of the house concrete blocks are placed, which are widely used in Japan for housing and architecture. 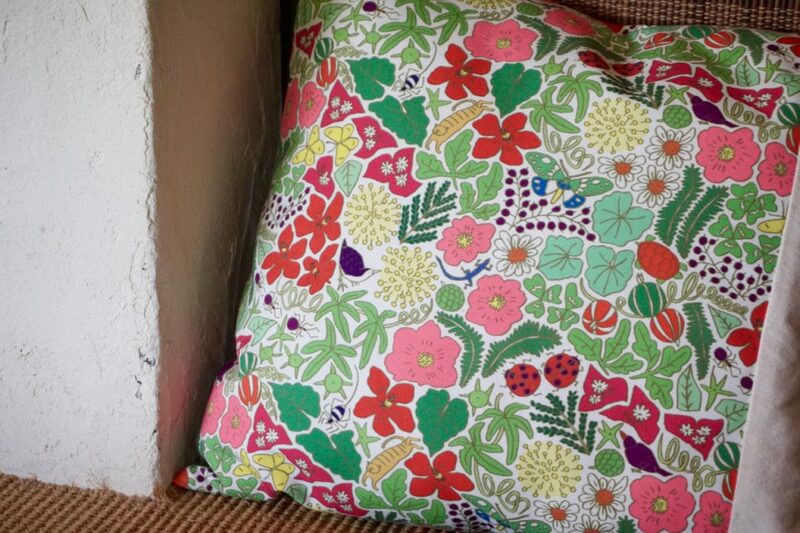 This combination makes a modern, ageless and serene impression. 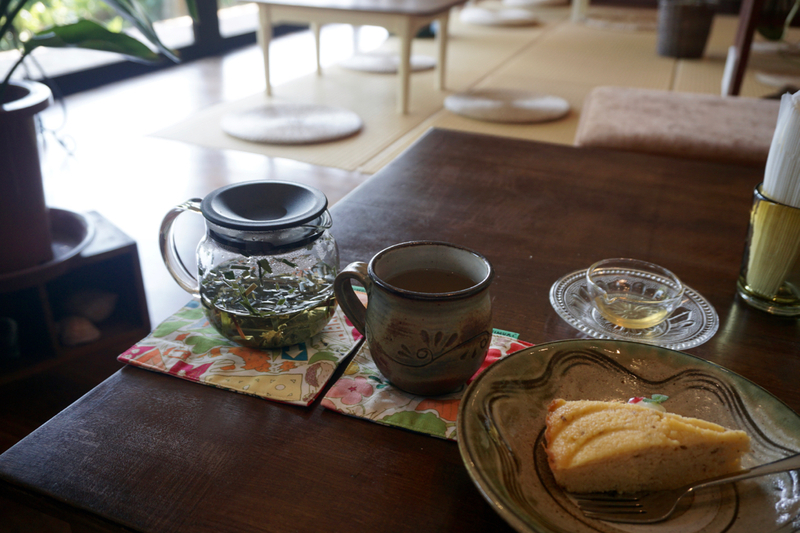 Shiraho café is a tea/coffeehouse with a small menu serving homemade herb tea, coffee, local fruit cocktails and cake. We ordered ‘Okara’. This is cake prepared with soy pulp, the leftover of the soybean. 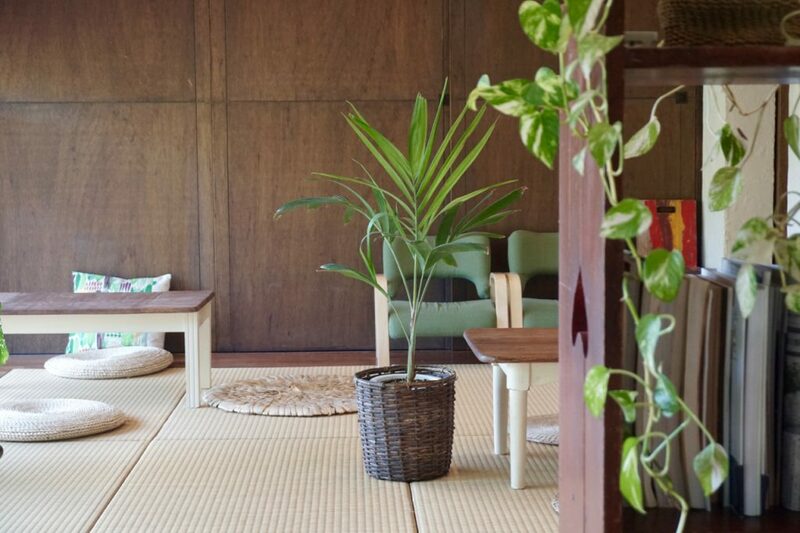 Shiraho Café sells their homemade local herb tea and won a design prize with their tea boxes. Colourful handmade products, such as coasters, bags, purses and these pillows, can be found in the small shop near the entrance.